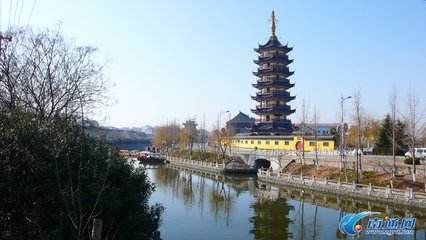 Dinghui Temple, located at the southeast corner of Rugao ancient city, dating back to the eleventh year of Sui dynasty (581-618), is an ancient temple with a thousand year history. 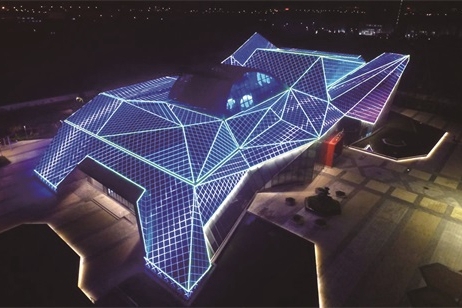 The layout of the temple is similar to the Chinese character huí (“回”), similar to the shape of two hollow squares, with the outer symbolizing towers and halls, and the inner symbolizing temples and shrines. From the temple gate to the south, there successively stands two gates along the central axis. Both Mahavira Hall and scriptures hall are located in the south, forming a unique architectural layout with water surrounding temple and halls embracing shrines. 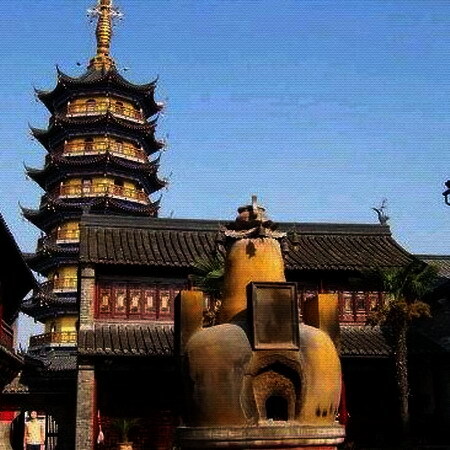 In November 1983, Jiangsu provincial government officially approved the restoration and reopening of Dinghui Temple to the public. In September 2006, the temple was rated as national AAA tourist attraction.